(Los Angeles, CA) Throughout our lives, there are certain paths that we take in order to achieve certain ends. Depending on the time in our life, the ends we hope to achieve can look very different. For instance, what I wanted as a 13 year old is completely different from what I want now as I approach 230. However, for most of our lives, the thing we aspire to most is typically, in some form or fashion, to be cool and have respect amongst our peers. Now, according to a new study, there is a bona fide way to become cool. This was developed by scientist and is true. Apparently, the closer you resemble a character from a movie, the closer to maximum cool you become. Now, obviously this is a huge pronouncement to make without laying down some groundwork to explain exactly what we mean. First of all, it can’t just be any character in a movie. We are talking about supporting at least, but almost never below a lead role. Not only that, but this character needs to be cool in the very best sense of the word. Picture Rachel Weisz or Brad Pitt or Rosario Dawson or Lakeith Stanfield in any of their roles. These people just exude that coolness. These are the types of people you should try to model both your appearance and personality around. This cannot possibly go wrong. Just picture in your head the coolest person you have ever seen in a movie and try to imagine what they would do or wear in a certain situation. This person should ideally be the first person you remember thinking of as extremely cool growing up. 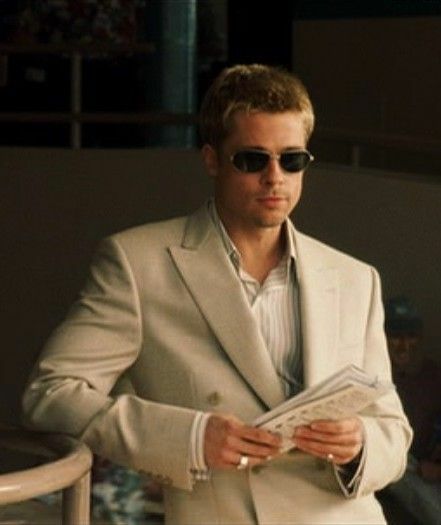 For me, it was Rusty from Oceans Eleven. I still want a suit just like that. OK, quick side note. This part of the coolification process is where I usually lose people, but pay attention because it is important. When we say that you should resemble a character in a movie, we mean their essence. So, if you want to be cool like Ryan Gosling in Drive, you don’t actually go out and buy a scorpion jacket. No, instead, you need to find the equivalent to your scorpion jacket, whatever that looks like to you. This way, you can feel the way Ryan Gosling does in his scorpion jacket all while paving your own way. That’s cool. Anyone can buy a jacket and sew a scorpion on it. Finally, don’t listen to us. We are just trying to lure you in with tales of success to get you to buy our products. Instead, follow your heart and do what you think is the best and coolest decision for you. No one can tell you what that means except for you. But let’s be honest, everyone looks cooler in a sweet jacket, so maybe start there. This was written by Nathan Ellwood, who will be talking about the scorpion jacket more later behind the Chili’s. Follow him @NPEllwood.